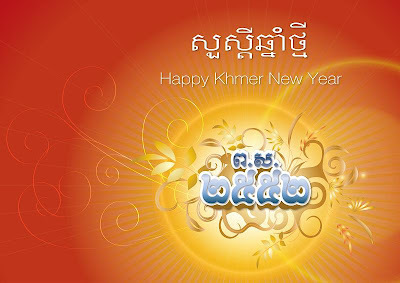 Like last year, last last year, last last last year,... Our family celebrate Khmer New Year at Beong Thom Village, where our farm located, with each of the family guest and the villager. This year aint any different but the only thing that matters is I and my Twin won't be there. HECK! I hate it when we miss our family party. 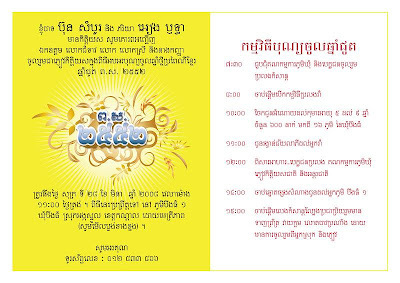 This is our cover invitation. Looks way better than it was. Yeah, way better! But come on, they're specialist! That's sad we are not there. Anyway, it's alright. Hope everyone got us pictures as soon as they got back home!